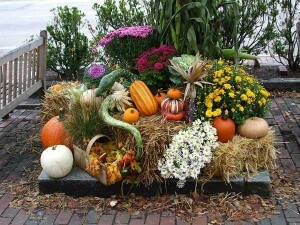 Get Your Yard Ready For Fall! Summer ’16 in St. Louis is coming to an end, and it’s time to start preparing your plants for the cooler temperatures that are on the way. While fall isn’t exactly the most exciting time of year for gardeners, there are still exciting things to be done in your own home garden! For example, it’s the best time to plant trees and shrubs, and cooler temperatures make laborious outdoor work that much more pleasant. Add these autumnal tasks to your to-do list, or send your requests our way and we’ll make sure the work gets done! When evening temperatures start to dip, it’s time to start bringing in any houseplants, tropicals, or succulents that have been outdoors for summer. Remove all dead leaves, branches, and inspect the plant for insects. 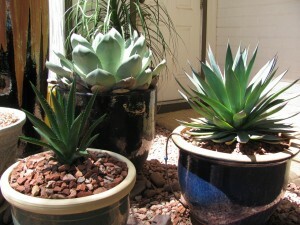 This is also a great time to repot your plants with a fresh potting mix. Place your houseplants indoors, with enough light while keeping the soil lightly moist. Keep tropical plants in a cool, dark place while keeping them barely moist so that they begin to enter dormancy. While shearing shrubs isn’t recommended, autumn is a perfect time to remove limbs that are diseased, damaged or otherwise detrimental to a plant’s overall structure. Spring bulbs like tulips and daffodils require a cold winter in order to bloom to their full potential, so planting them now in fall will ensure they get all the cold temperatures that they need. We recommend planting tulips 8″ deep and daffodils 9″ deep. Pumpkins, gourds, and squashes can easily be grown in your backyard for some seasonal decorations. If the first frost is in the forecast, be sure to make good use of any remaining blooms or foliage by turning them into a locally harvested flower arrangement! For more autumn fall lawn and garden tips, check out our blog post on Fall Tree and Shrub Planting: Do’s and Don’ts.